1. Practicing yoga in the heat increases pulse rate and metabolism, allowing your blood vessels to become more flexible. This allows our circulatory systems to flow with greater ease, while increasing blood flow to the limbs. The warmth that is created in the muscles allows your body to move more freely from posture to posture. In addition, a body that is warmed up can twist, bend and stretch further, which allows for an internal organ massage. All inner glands, organs, ligaments and muscles will benefit. 2. Yoga is designed to relieve stress and promote connection of the mind, body and spirit. However, practicing hot yoga requires you to push even further beyond your edge and place of comfort. As they say, life begins when we step out of your comfort zone! In addition, the challenge of a heated class makes the obstacles of our lives off the mat much easier to cope with. We often tell our students that if they can stay calm and focused in hot yoga, they can stay calm and focused in any given situation. 3. Hot yoga creates a massive elimination of toxins in the body due to the large amount of sweating that occurs. It is possible to drop several pounds (which include oil, salts and water) during a class. Your body burns fat more effectively in the heat, and fat may redistribute and be used as energy during the class. 4. The increase in sweat also benefits our skin, as we have witnessed many students leaving the class with an obvious hot yoga glow. After all, the largest organ of our body is the skin, our classes will surely detoxify the pores. 5. Your body will become better equipped to fight infection with a hot yoga practice. Similar to when your body raises its temperature to fight infection, the raised temperature in the room will assist in improving T-cell function and the proper functioning of your immune system. One cannot deny the benefits of a heated yoga practice. However, take heed of the following precautions. Drink plenty of water before, during and after your practice. Wear clothing that will allow your skin to breathe. Despite what a teacher may instruct, rest or even stop and leave the room if you feel any symptoms of heat exhaustion; such as nausea, headache, dizziness, confusion or poor vision. 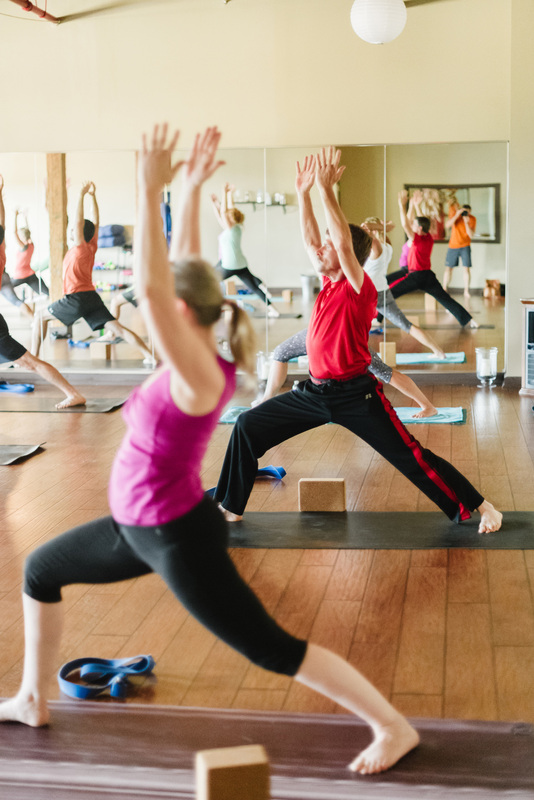 Consider consulting a doctor before pursuing a hot yoga practice, particularly if you have any chronic disease (diabetes, cardiovascular or respiratory issues, or a history of heat-related illness).